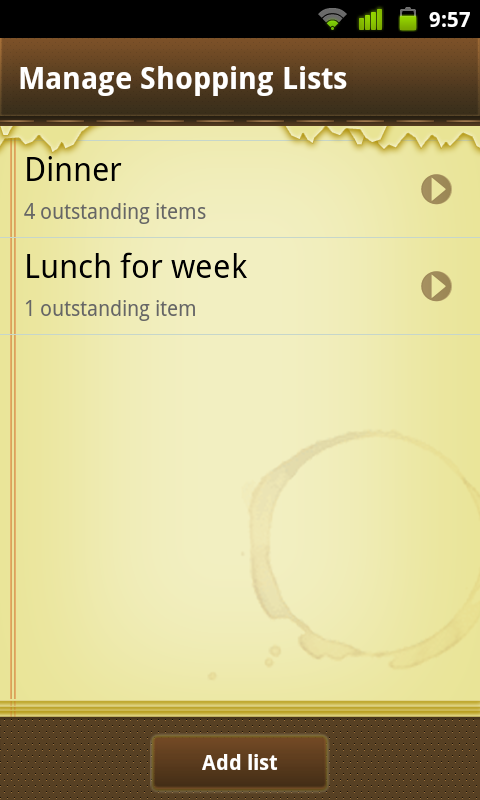 OK, so just how much better can you make organizing a shopping list? I've always gone the route of copying/pasting ingredients from recipes into an e-mail, so I know just how much I need and know that my list is complete. But when you start planning out a major shopping trip, a list like this can quickly get unwieldy, and maybe there's some things on it that you'll have to go to a specialty shop for, or maybe you're not quite sure if you already have some turmeric stuffed into the recesses of your spice cupboard. 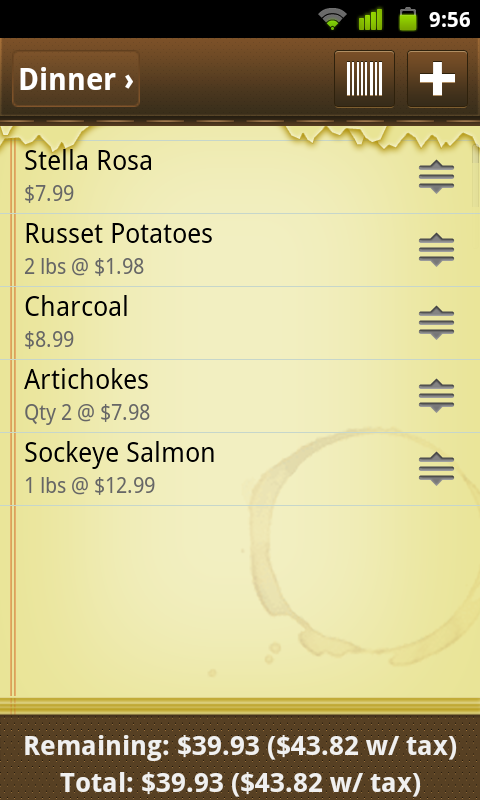 This means you can organize your shopping trip by meal, recipe, or store. 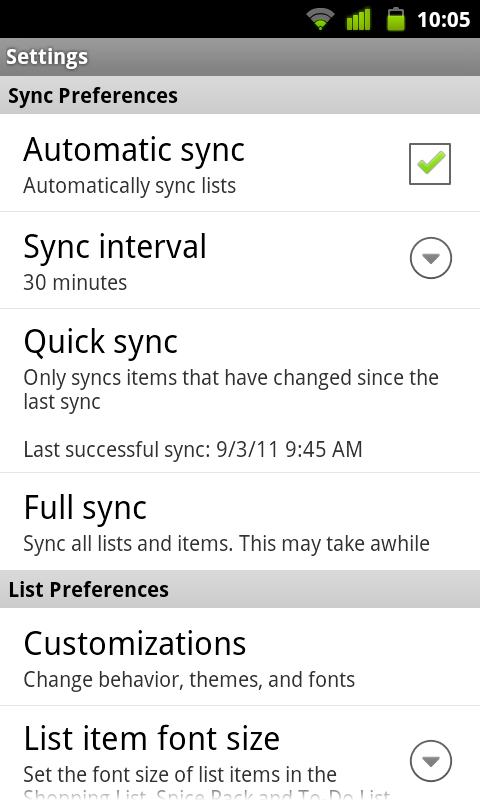 All you have to do is make a new list and name it, then go in and start adding items. You can specify quantity and price per unit - this includes metric and all sorts of other measurements, including liquids. 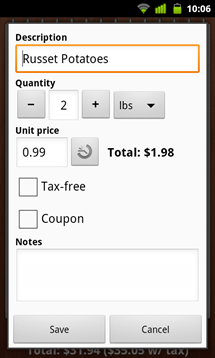 The great thing is that you don't have to specify a price or unit - they're just optional fields - but if you do, you can enter the price per pound of whatever you're buying, and it'll calculate the total based on that rate. Sweet. It gets better. 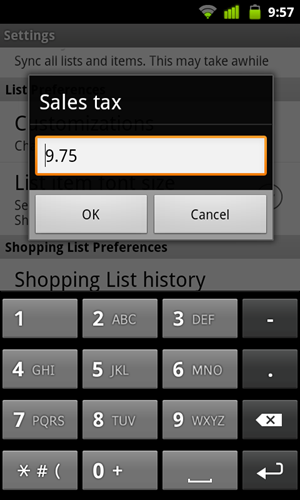 If you do a long press on an item in the list, the item will be removed from the "Remaining" total, crossed out, and moved to the bottom. 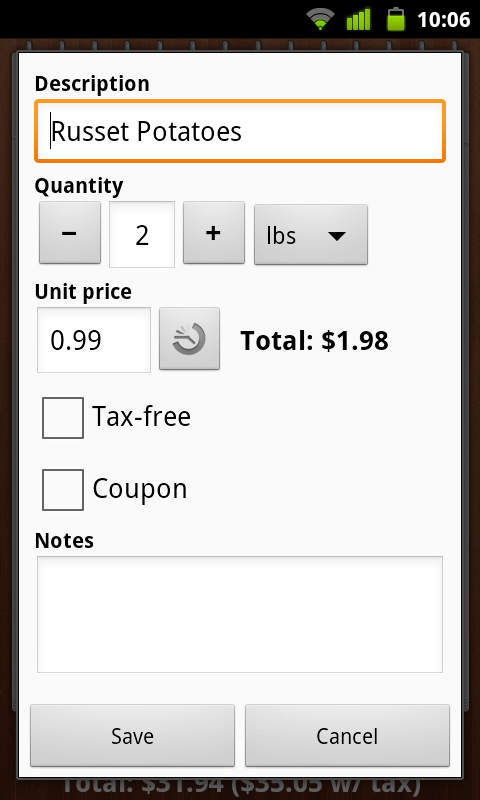 From there, you can do something amazing - tap the item, and press "Move", which will open up a list of your lists (yo dawg...), allowing you to move the item from your shopping list into your pantry. 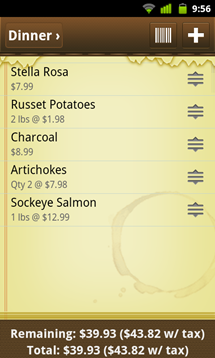 The only way this could be better is if the long press automatically put the item in the pantry in some sort of general list for later sorting, but that could always be changed. Also, as you can see on the third screenshot above, Out of Milk totals up your list's cost with sales tax computed, which you can manually specify in the settings menu. 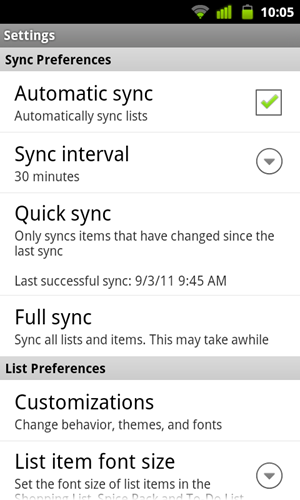 You'll also find various sync, UI, and other tweaks for Out of Milk, allowing you to customize the app considerably (we like this). But what about actually adding items to your shopping lists, sounds a little tedious, right? Well, I tend to agree, but out Out of Milk has an ace up its sleeve to make the shopping list building process a little easier: barcode scanning. If you look at the third screenshot on the right near the top of the post, you'll see "Stella Rosa / $7.99." Stella Rosa is what came up after I scanned the barcode on the bottle. You have to enter the price manually, but it's not a required field. You can do this with any product, and Out of Milk is surprisingly good about retrieving the names of relatively popular foodstuffs (Spice Islands spices, for example, all work). Finally, there's the pantry. The pantry has a couple of great features for speeding up the process of entering your food stock into Out of Milk, and for managing just how much of a particular item you have left. 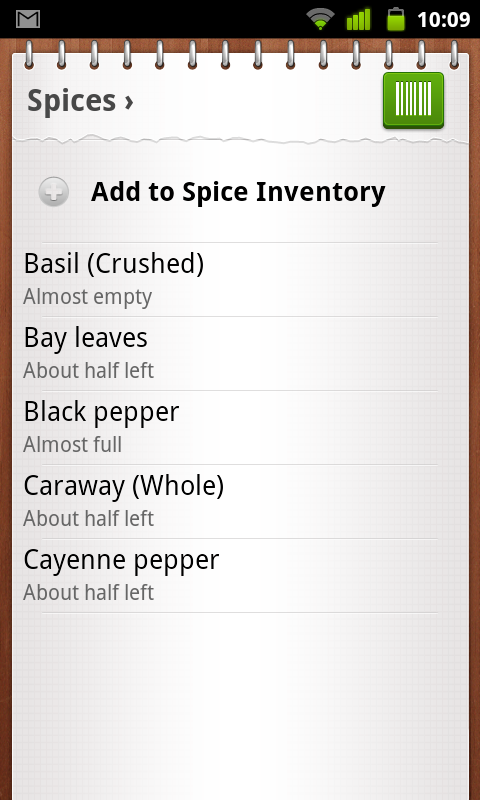 There are two pre-set food lists: Spice Rack and Essentials. 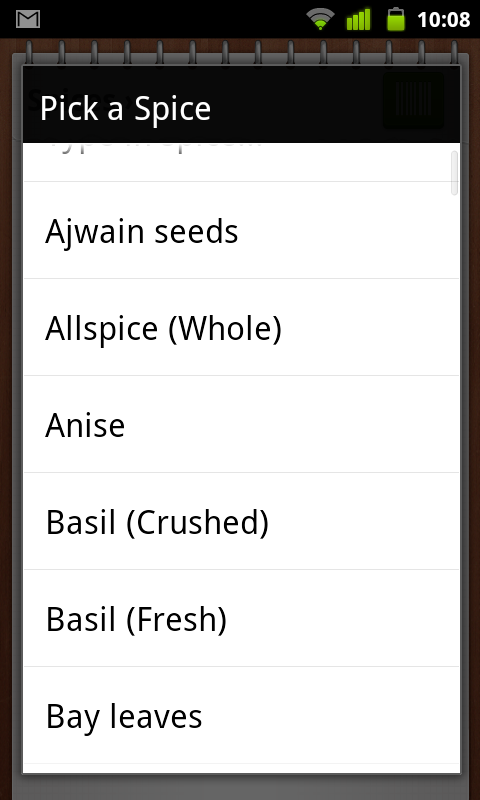 Spice rack, obviously, contains a list of numerous spices. Essentials lists out common cooking ingredients. This makes organization a lot quicker (with a lot less typing). You can specify how much of an ingredient you have left with a slider bar, or by exact quantity, which is great for things like spices and olive oil. Really, I've just provided an introduction to Out of Milk. 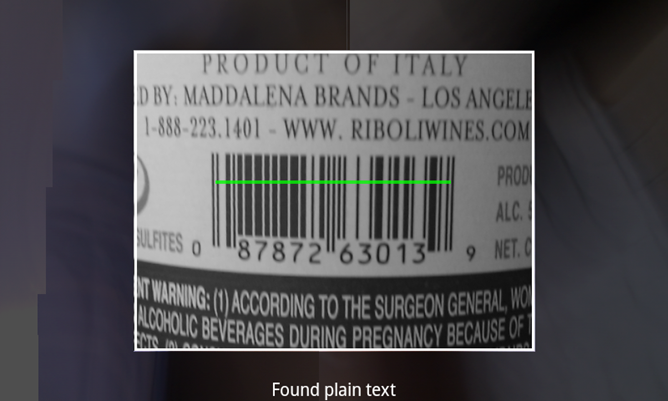 The app contains a number of other great features, too. 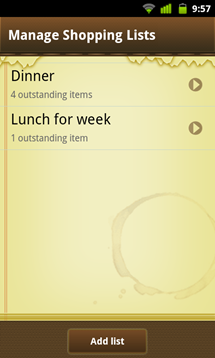 There's "To-Do List," which lets you set basic reminder-based tasks (sort of like another dairy-based organization service). List sending (via e-mail, text, FB, Twitter, etc), list sharing (you can add friends with Out of Milk accounts by e-mail or account nickname), and a full-fledged web interface for managing your lists on the big screen. Check it out at www.outofmilkapp.com. The app itself costs only $5 for the premium version, but we've got a whole pile of licenses to hand out. See the details below. Want to win a free lifetime license of Out of Milk? So would we. That's why we're giving away 25 of them. How do you get one? You have two options. Leave a comment on our Google+ post of this review explaining why you really need Out of Milk for organizing your food-related tasks (link here). If you don't have Google+, leave a comment here on the page explaining why you really need Out of Milk for organizing your food-related tasks. We do ask for only one entry per person on each method, please! From all of the entries, we're going to pick our favorites (most creative, compelling, or funny) - and you have 3 days to enter (contest ends September 6th at 11:59PM PST). The top three responses will also be featured in a post announcing the winners - so get on it!